The Poblenou 42 Beach apartment (HUTB-003693) is on the fourth floor of a building in the Poblenou district of Barcelona, just 5 minutes walk from Barcelona’s beaches. This building is brand new and has a lift. Poblenou is close to the CCIB convention centre and the 22@ technology district, and only ten minutes metro ride to the historic city centre of Barcelona. 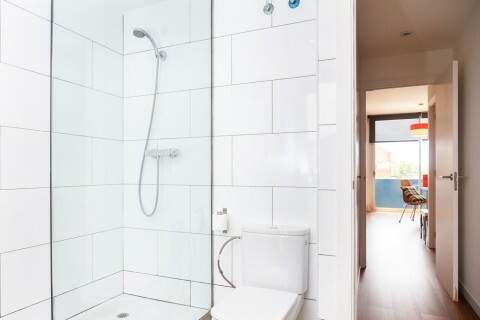 Therefore this apartment is equally suitable for business accommodation or for tourism and recreation. 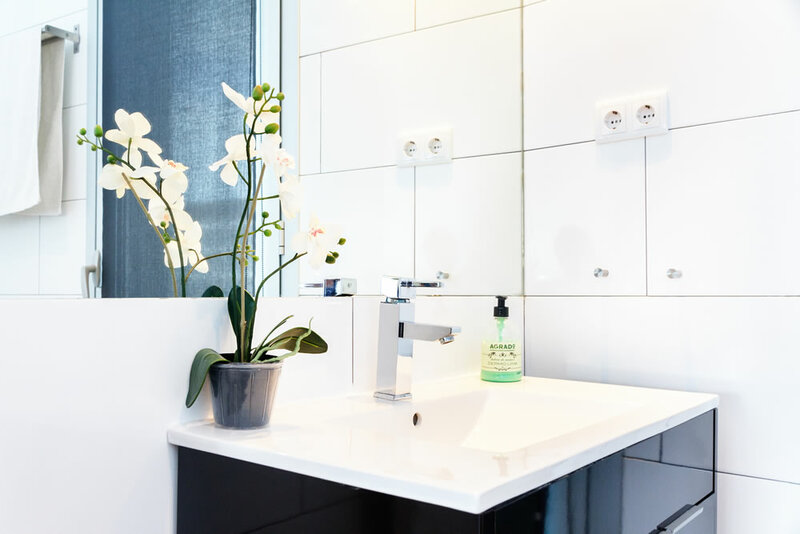 All the rooms in the apartment receive natural light thanks to large windows and two balconies, creating an agreable sense of space, light and comfort. The apartment has two pleasant bedrooms. 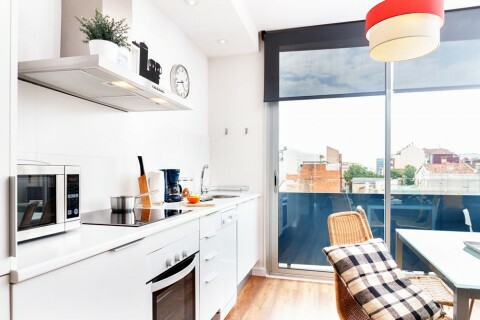 One is a pleasant double bedroom (with double bed), ample wardrobe space and a balcony with views of a garden area. The second room has a single bed featuring a fold out seperate single bed underneath. The living / dining room is a decent size, very light and has a small balcony. 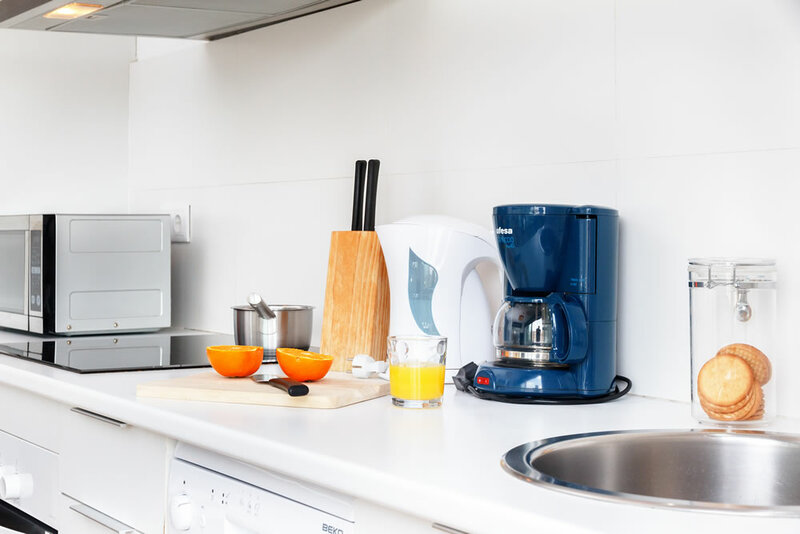 The kitchen is part of the same space, and is fully equipped for a self catering holiday in Barcelona. 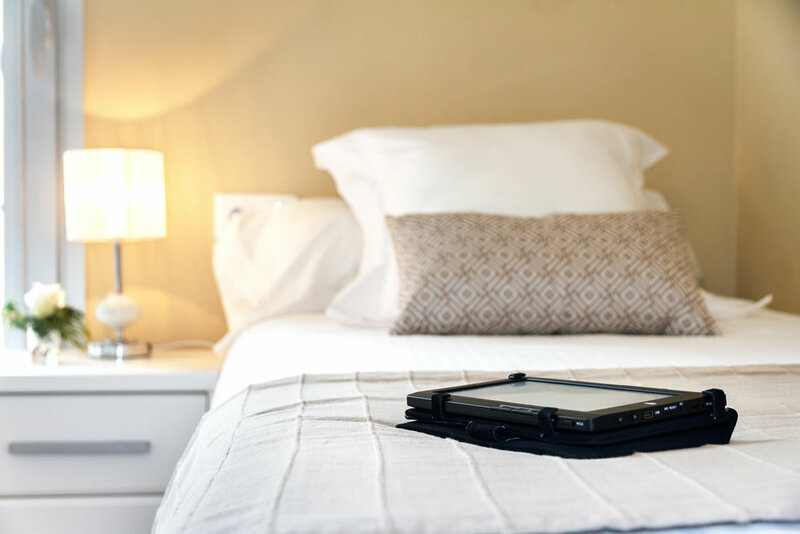 In this same room there is a double sofa bed, with which the apartment offers accommodation for up to 6 people. The modern bathroom and spacious with a walk in shower. 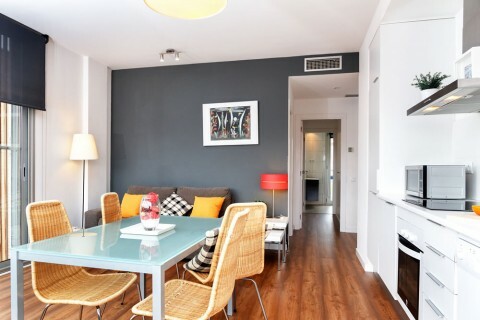 Apart from the above, this Barcelona beach apartment also features a free WiFi connection, a space in the building’s car park (which it is necessary to reserve beforehand at a cost of 15€ per day) and a communal terrace on the roof of the building with deck chairs, perfect for relaxing on after a long day’s sightseeing or business. opposite direction. The Poblenou district is very residential and offers all kinds of shops and an excellent market where you can find a variety of fresh produce. If you don’t feel like cooking, there are many fine restaurants offering traditional Catalan food and tapas, as well as contemporary cusine. 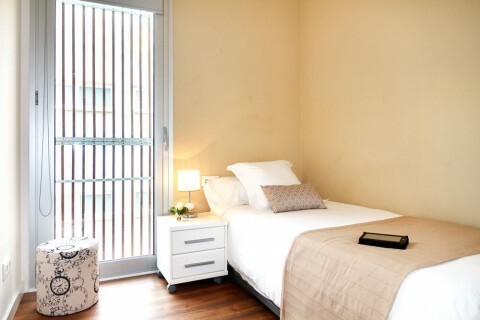 There is a metro station close to the apartment, also called Poblenou (Line 4 - yellow), just 300 metres away. This will take you to the historical centre of Barcelona (the Cathedral, Gothic Quarter and the Born) in just ten minutes. 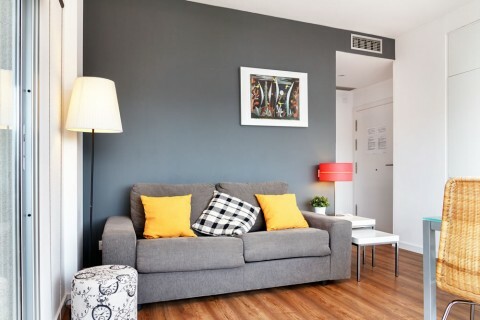 Last but not least, this apartment is also an excellent choice for those visiting Barcelona for work or business, and who are searching for accommodation close to the technoplogy district of 22@ or to the CCIB – the location of numerous congresses and exhibitions. Excellent location, nice and sunny apartment, all necessary equipment available. Timely response, cleanliness, staffs are friendly. 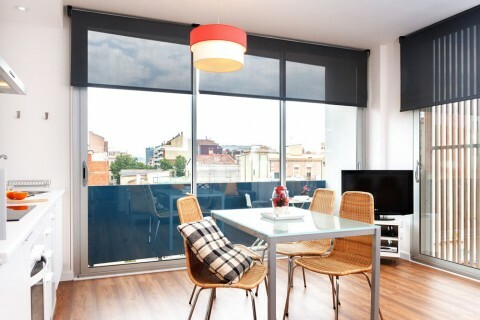 If you are looking for a place to stay in Barcelona, give Feelathome Apartments, Poblenou a go. They are spacious and clean with good facilities. They are only 5 minutes walk from beach and the metro. Poblenou has a nice delection of bars and restaurants. Handy to beach, metro station and great cafes/restaurants. Great to have washing machine. Nice area. 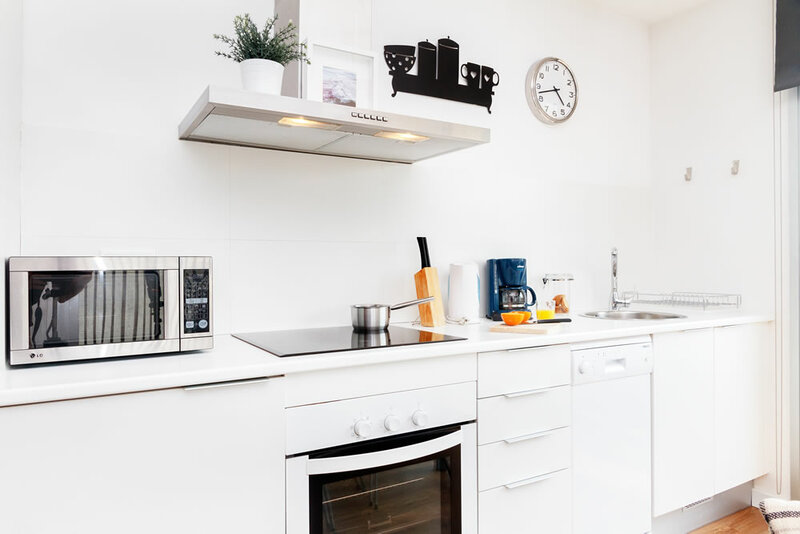 In a clean bright apartment. Near to beach/metro Poblenou is a Lovely suburb. Location and cleanliness. All the appliances working properly. It had everything we needed. it's an excellent residential appt very close to all amenities. hemos estado como en casa, REPETIREMOS!! Guy who checked us in was fantastic, great advice for the city. La llum que hi entra a l'apartament. les vistes i la ubicació.